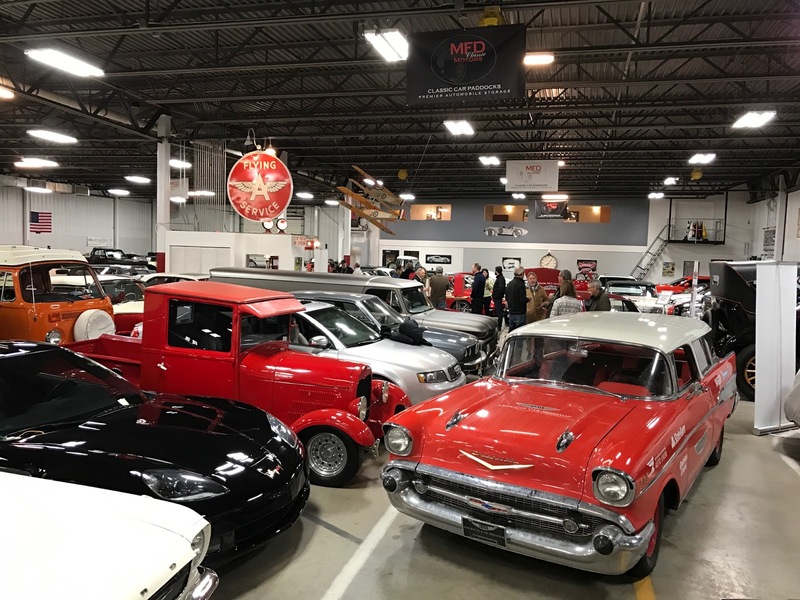 A snowy Jan. 5 morning found the Drive Home II crew being hosted by Dawn and Mike Fisher at their impressive MFD Classic Motors in Traverse City. 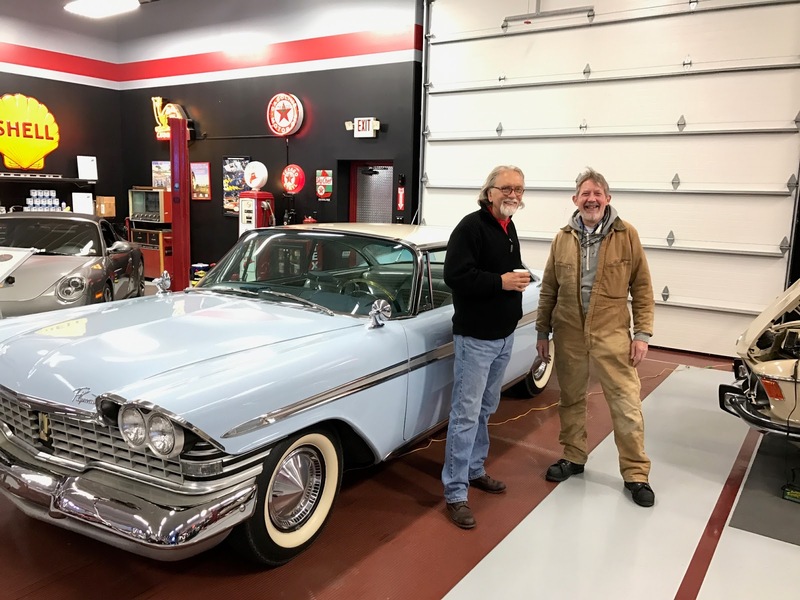 After coffee and fare with a good number of local car buffs, we headed south with auto journalist Steve Purdy and another new driver, Josh McManus, COO of Rock Ventures, at the wheels of the classics. 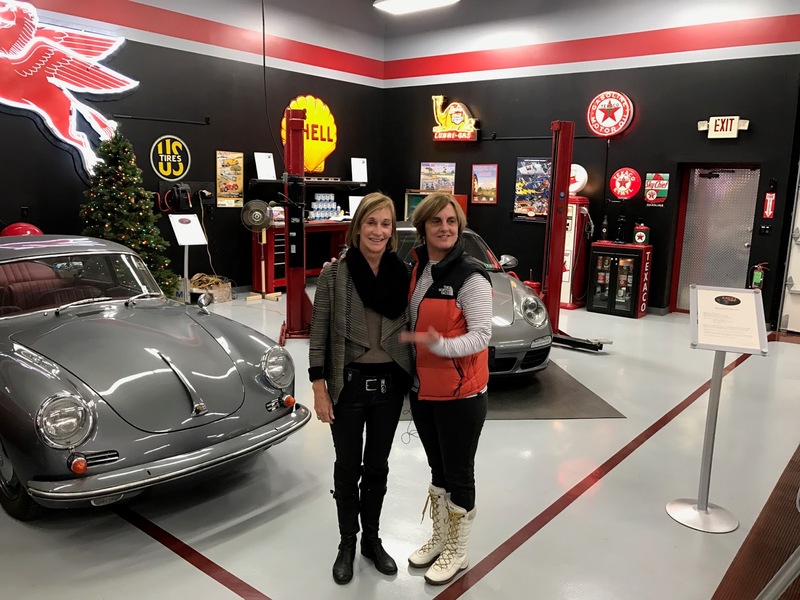 I followed the cars out of Traverse City in the SUV with Derek, Valerie and Ashley, and for several hours as we rolled south over fairly icy roads to a coffee and cars event in Lansing, MI, which is very near my wife’s alma mater.